It is essential that people feel secure and that the quality of their lives is rich and rewarding. Our aim is to ensure that each person finds satisfaction and self-respect by planning their own life. Building mutual trust is a foundation stone of our philosophy. Being prepared to go ‘the extra mile’ can make the difference between feelings of acceptance rather than rejection. Security means being given time to work through difficulties, develop stability and consistency. In a supportive atmosphere everyone is encouraged to participate and contribute; thus developing self-esteem and a sense of responsibility and independence. At Cephas Care we always ensure that individuals receive a personalised service from the referral. We work closely with all involved, including family, friends and professionals to ensure we are providing them with the service they want. From the initial referral the manager, deputy manager, or team leader meet with the person requiring the service and others involved to ensure we are working together towards the same goals. We are then able to tailor the service to meet the specific needs. 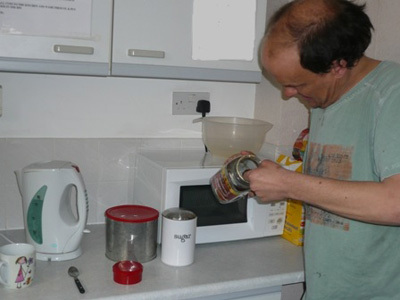 This can include support around the home, personal care, shopping, enabling service and support with daily living skills. From this initial referral we then complete personalised support plans detailing the aims of each individual, and the method they want to be supported in order to achieve their aim. We undertake to have a sufficiently high level of staffing to give each person enough support to develop to their full potential, and to create opportunities for choice, keeping in mind, at all times, the fundamental right to privacy, respect, independence, and dignity. Our policy is to ensure a high level of expertise in our care-team. Staffing includes a high percentage of experienced professionals. On-going training programmes for all staff, enables them to meet the diverse needs of individuals, and find personal and professional satisfaction. We work with people and their family and friends to identify individual aims, hope and dreams. We then support people to embed these choices within the way they want their support tailored. Each Individuals support plans are written with the person and the key people they want to support them with this process. This is carefully balanced and to enable each person to maintain independence and learn new skills. We will always encourage families and friends to be actively involved in the writing of support plans. This has proved to have a positive effect on all people involved, aiding the progression of individuals. Continuity of support is improved when the approaches identified within the Person’s Support Plan have then been continued by their family and friends. Many thanks to the team leader for the documents these are very impressive. Amongst the best I have seen from a support provider and I have seen many. Parents of customer wanted to thank everyone for their hard work and for the support that is given to their son. Well done to everyone at project lovey scheme and excellent support. Thankyou to Cephas for how well the transition is going and hard work being put in.